This topic contains 3 replies, has 2 voices, and was last updated by dwebagency 1 year, 1 month ago. I’m just testing your plugin, but have problems to fill some fields of my French pdf. First, I have a date of this form : DD/MM/YY but can’t found it in your format list ! Change 123 to your field ID. 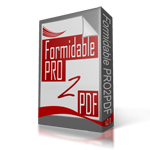 Zip code is controlled by the Formidable Form, not PRO2PDF, just use (no formatting) or you can also apply any other PHP number format using the same example as above. Address line 2 is achieved by using the “Address” format and the [line2] shortcode. Let us know if you are having a problem with this method.